For your reading pleasure, I give you the second installment of my Disney's Lost and Found web series. This one is short and sweet, as many of these individuals lost to time left little behind research-wise. Jitterbugging above with Walt Disney's original Alice in Wonderland, Virginia Davis, is a onetime employee of the Walt Disney Studio, Garland Clifford Ladd. I came across Ladd while browsing old newspaper articles about Sterling Holloway, the original voice of Disney's Winnie the Pooh. I'm not sure why the article about Ladd and Davis showed up in my search results, but I'm glad it did. Garland Ladd was born the tail end of 1917 in Stamford, Texas. While attending Abilene High School in Texas, Ladd expressed much interest in the arts and physics. Ladd portrayed various roles in school plays and was a playwright. A couple of his original plays were performed at his school, earning acclaim in the local paper in the mid-30s. Soon after the picture of him in his high yearbook below was taken, Ladd would move to Inglewood, California with his mother, Ola Ladd, and his older foster sister, Mary Alice Banks. 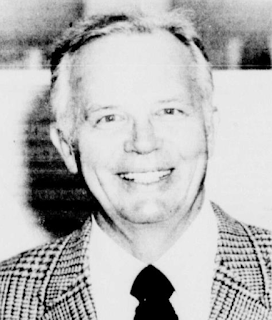 Ladd would attend and graduate from the University of Southern California in 1939. Ladd's connection to Disney began in 1939 with his employment in the Studio's "traffic department." One could guess at what that job entailed, but one thing is sure - Ladd was one helluva Jitterbugger, and so too was Walt Disney's first Alice, Virginia Davis. Virginia Davis got her start with Disney back when Uncle Walt was not even America's favorite uncle yet. We're talking the early 1920's, when Disney was still experimenting with animation back in Kansas City, Missouri. In Kansas City, Walt Disney conceived of his first big breakthrough in animation - which he dubbed the "Alice Comedies." Disney's concept for the "Comedies" was new for its time, as it placed a little girl of flesh and blood in a world of animation. That little girl was Kansas City native, Virginia Davis (born 1918), and she would eventually follow Walt Disney to California where he continued to make more of the "Alice Comedies." Davis starred in thirteen of the "Alice" short films and then left to further pursue her interests in film. Her adulthood ambitions led to successful careers between interior design and real estate on the east and west coasts. Although the "Alice Comedies" continued on without her with recasting, she would make a return to the Walt Disney Studio by 1937 in the Ink and Paint Department. In the early half of 1940, Davis from Ink and Paint, and Ladd from the Studio's traffic department, would get to portray Donald and Daisy Duck in their own special way. It was very commonplace at the Walt Disney Studio for animators to use live actors as a reference for movement when drawing such characters as Snow White, Geppetto, the Seven Dwarfs, or in this case - Donald and Daisy Duck. 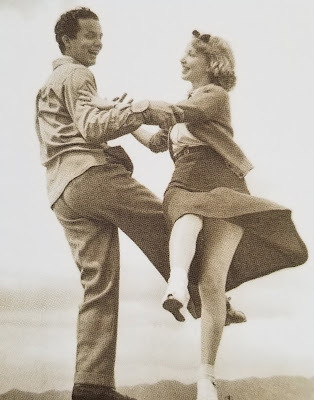 By 1940, the Jitterbug dance was a national sensation that would eventually spread abroad with U.S. involvement in World War II. This dance would be incorporated into a 1940 Donald Duck short cartoon called Mr. Duck Steps Out, but Disney animator, Paul Allen, needed a live reference to get Donald and Daisy's Jitterbug moves down just right. A call was put out around the Studio and Garland Ladd and Virginia Davis were two of the individuals chosen. Their contributions are forever captured in this article's title photo, but more importantly, in the finished cartoon. Ladd's tenure at Disney takes an interesting turn. In the 1940 census, he is listed as "traffic" under employment, but a 1971 Stamford American newspaper article (Texas) says otherwise. According to the article, Ladd was employed by the Walt Disney Studio in 1939 as a "writer trainee." 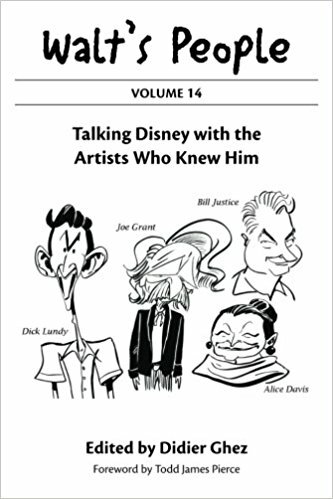 This title could lend itself to many assumptions, but the article also goes on to state that Ladd was eventually promoted to assistant director at the Studio, "first working on Mickey Mouse and Donald Duck shorts, then on such features as Pinocchio (1940), Bambi (1942), Fantasia (1940), Dumbo (1941), and The Reluctant Dragon (1941)." This is a bold statement given that Ladd would be laid off from the Studio before U.S. involvement in World War II in late 1941. No other evidence was found by this researcher to support the article's statement, but that doesn't mean it isn't true. Upon Ladd's departure from the Studio, he moved on to North American Aviation (NAA) out of Inglewood, California. He began in the "Production Control" department and was transferred to public relations with his background in writing. During World War II, he enlisted in the Navy. According to the 1971 Stamford American article, in 1943, Ladd "went on active duty with the Bureau of Aeronautics. He produced motion pictures for training, indoctrination, documentary and medical use." Ladd would advance to the rank of Lieutenant during World War II. During his years in the PR post, he [Ladd] has acquired numerous friends in the atomic energy field, including officials in the Atomic Energy Commission, utility companies, Congress and among publishers, editors and writers in the electric and nuclear fields...Ladd is a member of a number of state and national public information committees developing education programs on the role of the atom as a clean, safe and efficient source of energy to meet growing demand. Ladd wasn't kidding when he listed his favorite subject in his high school yearbook as physics. Apart from his lifelong contributions to atomic energy, Ladd was also a free-lance travel writer and frequent commentator in the LA Times on politics up until his death in 1993. And so this installment of Disney's Lost and Found comes to an end...for now. As mentioned in my first installment on James Lewis, these stories never truly end. On the contrary, I consider this article on Ladd to be a beginning. As new Disney discoveries are continuously uncovered by Disney historians, who knows what else may turn up on Garland Ladd's brief tenure at the Walt Disney Studio between 1939 and 1941. As always, I welcome readers to reach out to me if they know anything about individuals like Garland Ladd. Feel free to either comment on this article or email me at vrand83@gmail.com.